The Scottish food & drink industry, is one of Scotland's biggest and most resilient contributors to the economy and we here @Amos_Beech are fortunate to have been designing and fitting out offices, shops and tasting rooms for this industry for years. 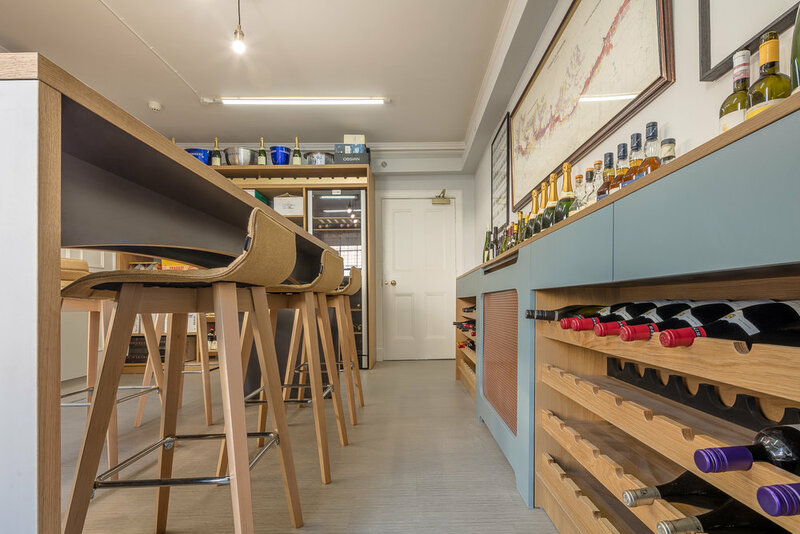 This time we were in Edinburgh for the new tasting room of Justerini & Brooks, Fine Wine & Spirits Merchants. Justerini & Brooks set up in Edinburgh in 1963 to look after the Scottish private customer, as well as and restaurants and hotels. J&B has looked after the needs of the discerning collector looking for quality wine, expertise and personal service for more than 260 years! They are independent part of Diageo and are highly client focused and have intimate relationships with restaurant chefs and private clients. 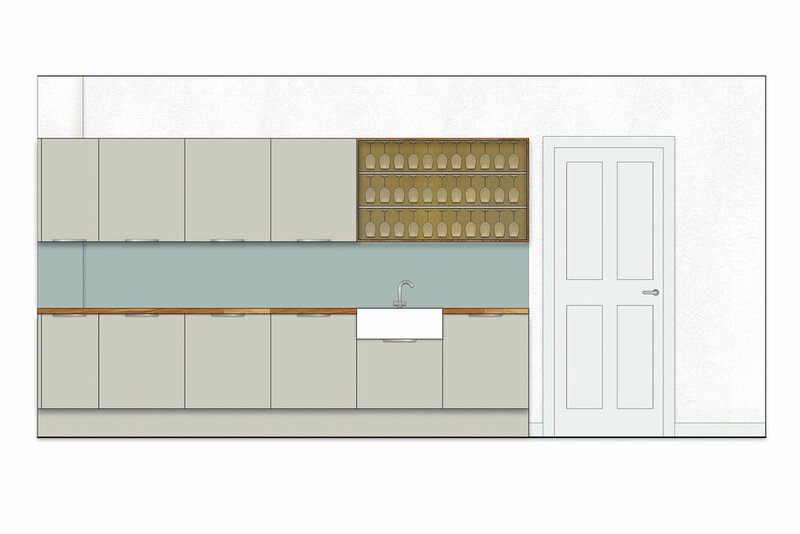 The kitchen in the tasting room comprises of storage cupboards, a Belfast sink with double drainer, integrated dishwasher and glass display storage. Hot and cold water supplies as well as waste facilities have been added to the property, quite a challenge in such an old building in Edinburgh's New Town. 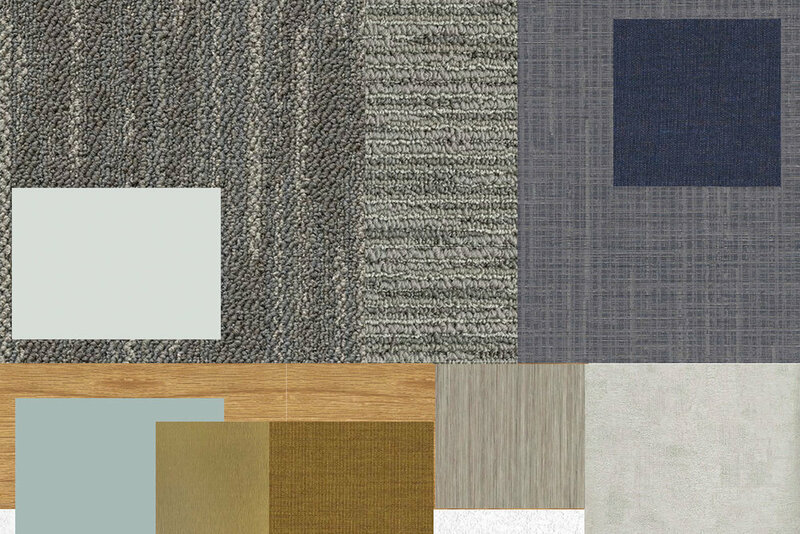 The colours selected are warm, muted tones with metallic features integrating oak timber. The overall look is a clean, contemporary style within a traditional palette. Existing doors and skirtings were painted in a satin finish with the walls being decorated in neutral paint colours to maximise the light in the space. 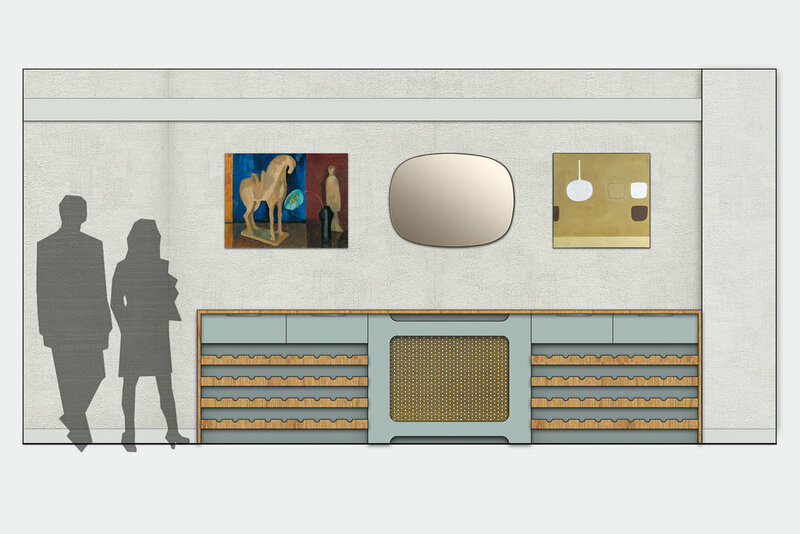 The finishes give the room a fresh injection of life making it an ideal space to host clients. The specially designed and custom built wine storage allows compact storage of up to 48no six bottle boxes on shelving. A full height integrated wine cooler fridge is part of the unit. The glass door and internals, specifically for wine storage, give a high end look to improve the aesthetics of just a basic fridge. 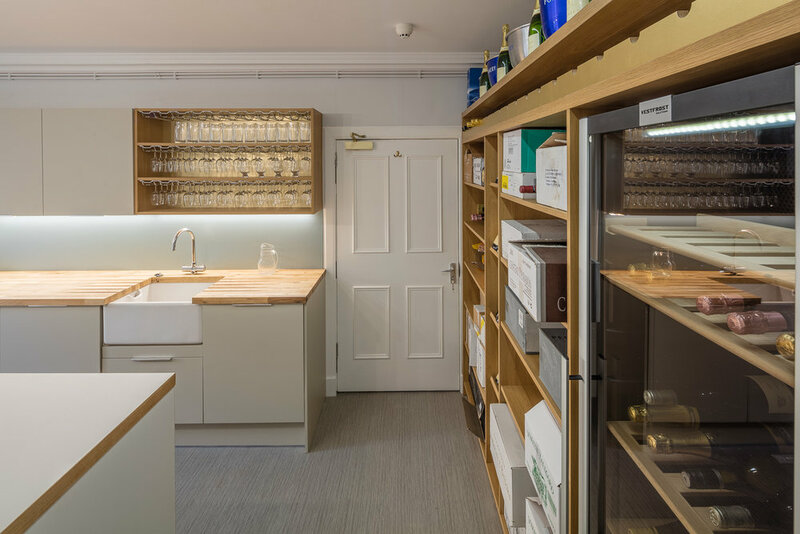 The top shelf has been designed with metallic wire wine bottle racking which creates an attractive display whilst also having a practical function. The finishes continue the warmth of the oak timber with a coloured backing to the shelving. The result is a functional but attractive statement.